The Catalyst ME3400 switch is a switch targeted at the service provider segment. CDP or Etherchannel protocols like PAgP and LACP. STP, CDP and Etherchannel protocols. focusing on 2 routers connected to a ME3400 switch. Now we take a look at the default port types. VLAN works very the isolated ports can only communicate through a promiscuous port. 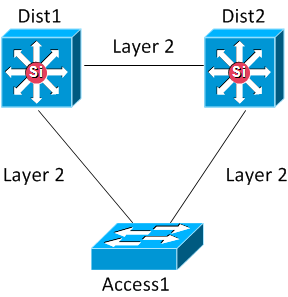 communicate directly even if in the same VLAN. and also there is no support for ISL so there is no need to set the encapsulation. We configure IP addesses on R1 and R2 and then we will try to ping between them. DTP. Now we try to ping between R1 and R2. That was not successful. Do we see any MAC addresses? Yes, that is not the issue. Are the ports forwarding in spanning tree? 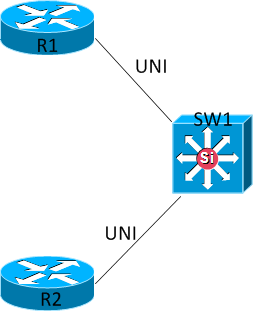 Spanning tree instance(s) for vlan 2 does not exist. What if we can’t change the port-type? What else can we do? 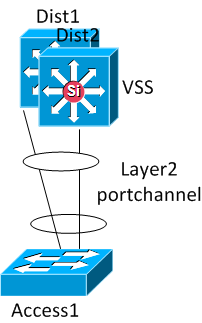 We can change the VLAN type. on them. We can also enable CDP so that the routers can see what they are connected to. So by default this is how the traffic behaves on a Catalyst ME3400. the defaults you will figure it out pretty quickly. a commute to work and I’ll spend that time studying for CCDP. far more interesting than the CCDA. don’t agree with the book.